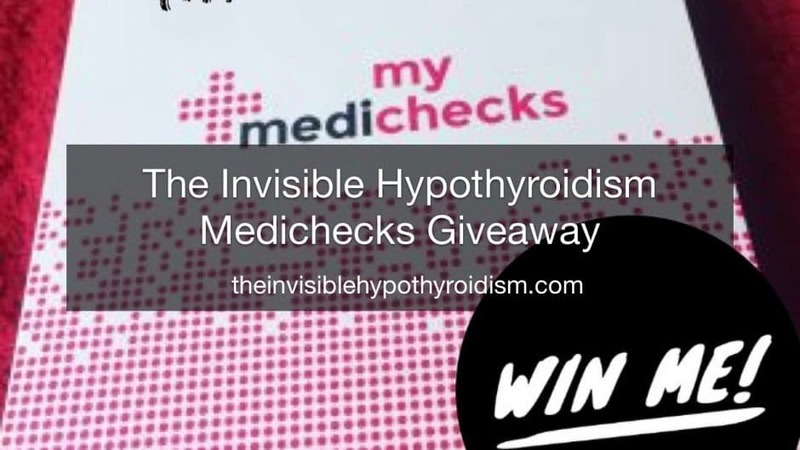 I have partnered up with the online laboratory blood testing service Medichecks for a giveaway competition. Medichecks is a very popular choice for inexpensive yet comprehensive testing with a fast turn around. I’ve written a full review of the first time I used their service here. Their test kits are even designed so that you can obtain a blood sample from yourself in the comfort of your own home and then pop it back in to the post. They offer the all important thyroid function test, Reverse T3, cortisol testing for your adrenal health and thyroid antibodies to check for autoimmune hypothyroidism (Hashimoto’s). Results are then securely emailed to you with commentary made by their in-house doctors, letting you know how to proceed with your health. Discounts on these already inexpensive tests are often available, so do check online first before buying. Also, all of my followers get 10% off any full priced tests with the code INVISIBLE10 until the 31st December 2019. 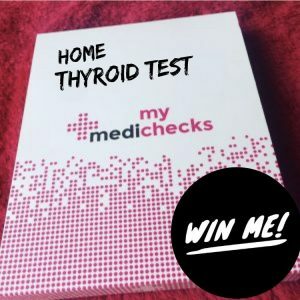 Medichecks have kindly offered their best-selling thyroid blood test, the Thyroid Check Plus kit as the prize to one lucky winner. This kit includes the testing of thyroid hormones and thyroid antibodies for an in-depth picture of your thyroid function. Head on over to my Facebook page and follow the instructions on this post. You may also ask friends and family to enter in case they win for you. The competition closes and a winner will be drawn on January 23rd 2019. I hope you’ll enter and I look forward to announcing the winner!